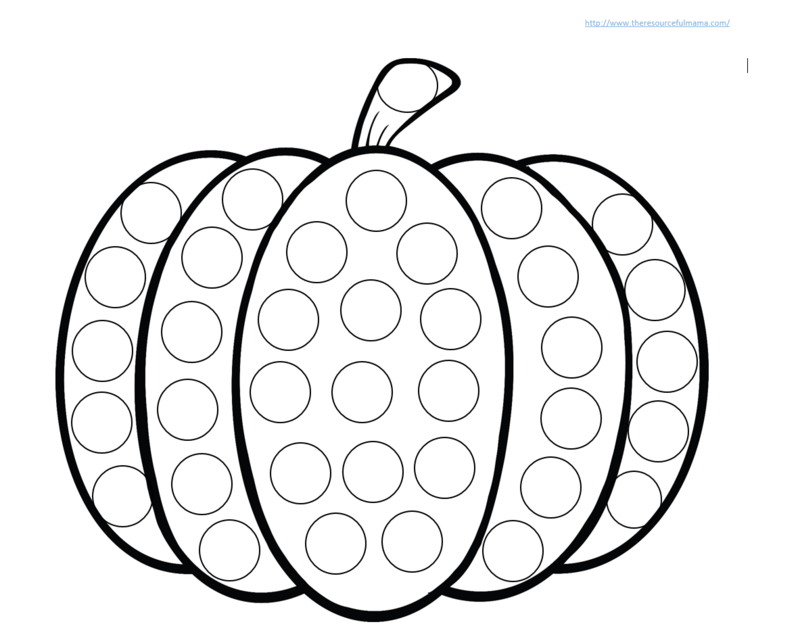 I did an apple do a dot worksheet a few weeks ago that has been really popular, so I decided we needed another one for fall. Nothing says fall like pumpkins. They are everywhere and come in different colors, shapes, and textures now. 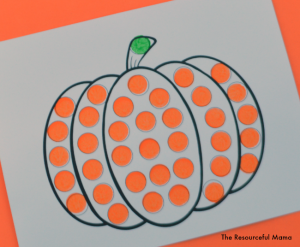 My younger kids love using Do A Dot Art Markers and are constantly asking for worksheets, so I made a pumpkin do a dot worksheet. I love Do A Dot Art Markers, especially for little ones. They are chunky enough for little hands to easily grab and manipulate them. They have sponge tip applicator that serves as the painting applicator. I love that they are spill proof and therefore mess free! Bingo Markers work great as well or you can use Pom Poms. See how I used pom poms to paint the circles in this apple tree or kids can glue the pom poms in the circles. There are so many fun things you can do with this worksheet. Thanks for hosting My Bored Toddler! We love Do a Dot markers! Your dot painting pictures are fantastic!! Thank you! Are you going to do Christmas themed pictures too? I would love them. Thank you again. My class loves them. Thank you Joyce! I’m so glad your class loves them! Hearing that makes my day 🙂 I just published a Thanksgiving set and plan to work on Christmas themed dot painting pictures this week.